Oscar Trimboli still finds it uncomfortable to speak about listening, but I’m glad he has found a way to combine these two competing activities. 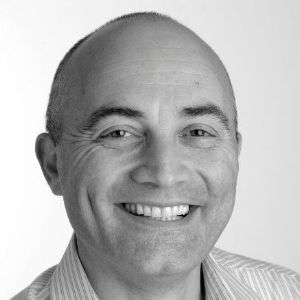 Oscar is an executive coach and a listening expert based in Sydney, Australia. In the latest episode of the Meeting Strategist podcast, he talks about the cost of poor listening for individuals and organizations and the importance for leaders – but also for other professionals such as doctors - to listen to what’s unsaid and to those who are reluctant to speak. This episode runs more than 90 minutes and is my longest to date, but we could easily have gone on for many more hours. One of the reasons why I enjoyed this conversation so much is because Oscar was extremely generous in sharing real-life examples of great listening. This includes the fascinating story of lung cancer oncologist Dr. Bronwyn King who used her curiosity to convince pension funds to sell off $8 billion in tobacco shares. Before Oscar started his coaching practice in 2013, he spent more than 30 years in general management, sales and marketing roles at technology companies including Microsoft and Vodafone. I got to know him through his excellent podcast Deep Listening: Impact Beyond Words, on which he interviews journalists, actors, professors, judges and many others about their – sometimes contrasting - perspectives on listening. To me, Oscar is a true role model for listening. You don’t only notice that in the way he listens, but also – and maybe even more so – in how he talks. Oscar is one of those few people who seems to be extremely comfortable with silence. I shortened some of his longer pauses, but still, there’s more silence in this episode than most of us are used to and comfortable with in our busy lives. 1:21:50 – Can you listen when you’re nervous?